PASSIVE AMD AM4 CPU COOLER: The Alpine AM4 Passive comes without a fan and yet provides enough power to keep all compatible AMD AM4 processors up to 47 Watts at bay. AMD AM4 APU like the Ryzen 5 2400GE can be cooled passively and thus completely silent. The cooler offers an affordable solution for fully fan-less computers on the AMD AM4 platform. 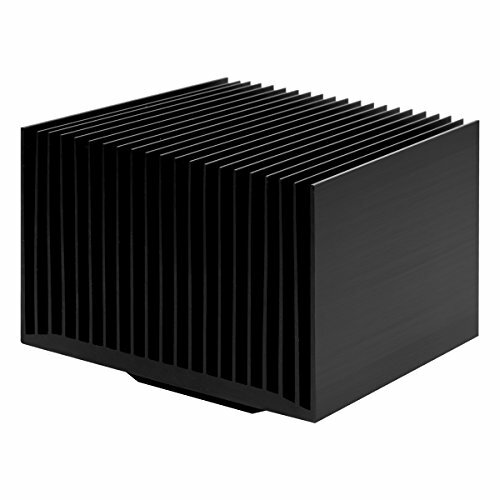 BLACK ANODISING FOR IMPROVED HEAT-DISSIPATION: The micro-porosity resulting from the heatsink surface treatment optimises the heat exchange between the aluminium and the surrounding air, thus the cooling performance in passive mode is greatly improved. PRE-APPLIED MX-2 THERMAL PASTE: Thanks to the pre-applied MX-2 thermal compound, a quick and clean installation is guaranteed. DUST AND MAINTENANCE FREE: No fan means no dust and no maintenance over time. OPTIMAL COMPATIBILITY: Fast and easy to install and extremely reliable, the Alpine AM4 Passive mounting system is compatible with AMDs AM4 socket, which is used for Ryzen CPU. It is not only fool-proof to install, but also absolutely transport safe.